Watching employees around the world enter a complete hustle and bustle, it seems like a task to stay on a progressive track during your entire career. Surely, this is nervousness dominating at the moment. However, it is often said that your work progress can be most accurately gauged over what the co-workers and the boss have to say about you. Yes, the old saying- ‘deserve, then desire’ finds the right application in this situation. However, it boggles your brain again, thinking over the most efficient methods to come up as a deserving employee at work. Here are a few methods that will surely work in your favor. Dart sufficient glances and deserve an appraisal before you desire it. You might be a great programmer, probably the best one in your team. But would that alone suffice to get you noticed by the company’s senior management for further job responsibilities? Obviously not! There are a zillion people holding the same tech skills and people skills as you do. What’s required is to let the corporate world and most importantly, your company know about your USPs pertaining to the field of work. Primarily, there are to roles for you to score, a generalist or a specialist. Being a generalist, you’ll have the hang of all operational fields nearly. However, being a specialist you’ll direct all focus towards a single field. It’s your choice to pick a role, but strategizing is something that can’t be compromised upon. Think about the kind of skills your organization requires at present. Adding to the same, the knack to thing creatively along with emotional maturity is a blend that will add on to your profile. 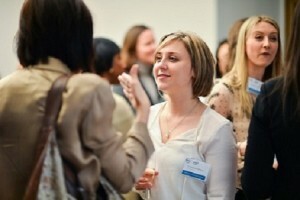 Surely, building a strong network is something that will get you ahead in your career, smoothly. However, an important fact to notice is the peers your network includes. It’s not only the co-workers and managers being talked about here, but industry professionals who relate to them as well. Remember, be it your job search or referral for a higher post, it’s all a game of putting your best face forward. People perceive you as a deserving employee only when they notice you in a positive light. Make sure this happens as a regular event every now and then. Be in good terms with your network and watch the roadblocks diminishing in number from the get-go! Believe it or not, the most direct way to prove that you’re a truly deserving employee is working and being visible. One approach towards the same would be to ask for a bigger share of responsibilities from your boss. Not only does this present you as a time efficient employee in terms of given targets, but a team member who’s always ready to take more from the team, in other words- truly deserving. Adding to the same, work challenges are going to persistent during the entire career. Taking a step forth and accepting even the hardest ones is something that would make you stand apart from the crowd. For a lot has already been spoken and told about the importance of teamwork in one’s career, the significance of playing the role your team needs at the moment is something that will definitely get you noticed. And that is what a multitude of employers round the globe desire – an employee who knows to be the right fit in the team. Tips are numerous to enlist. In the end, it all comes down to your level of commitment and the efforts given!